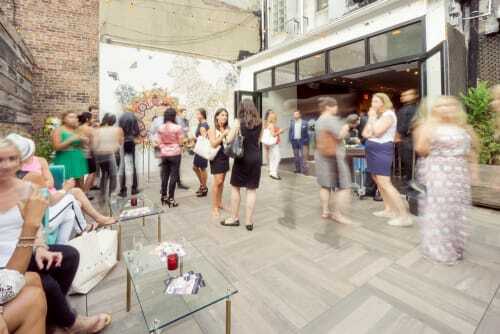 287 Gallery is an industrial chic raw event space located in the heart of Chelsea’s Fine Arts District. The space is fully customizable and features exposed brick walls, built in gallery fixtures, DJ hookup, curtained storefront for exposure or full privacy, and retractable glass doors that open up to a private outdoor patio visible from The Highline. 287 Gallery’s preferred vendors are available for all event production needs. This is an ideal blank canvas for art exhibitions, product launches, pop-up retail boutiques, corporate events, photo shoots, cocktail receptions, and more. I had the best time hosting my networking reception here. Great service!